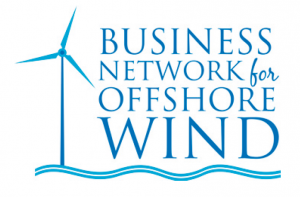 The Business Network for Offshore Wind is a 501(c)(3) non-profit organisation solely focused on the development of the U.S. offshore wind industry and advancement of its supply chain. We bring together developers, policymakers, academia, global experts and more than 250 member businesses for critical discussions and unprecedented networking opportunities. 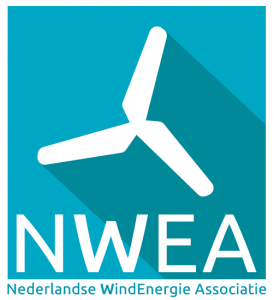 We follow the market development everyday and have become U.S. offshore wind market experts. 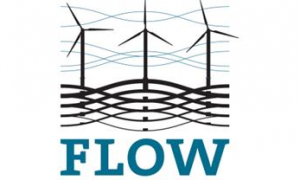 The U.S. Department of Energy’s Offshore Wind Technologies Market Update has reported that the current U.S. offshore wind energy pipeline is estimated at 25,464MW, with 14,585MW under exclusive site control by developers. The United States does not have a federal energy policy with goals for offshore wind, but the U.S. Department of Energy and Department of Interior Bureau of Ocean Energy Management (BOEM) provide research, regulatory, planning and other support to the states. A major economic development in the U.S. marketplace was the acquisition of Deepwater Wind by Ørsted for $510 million, which closed in November of 2018. The states continue to drive energy policy and make decisions locally about energy mix, off-takes and planning. Currently, there is a policy goal to develop 2,000MW in Virginia by 2028; 2,400MW in New York by 2030; 3,200MW in Massachusetts and 3,500MW in New Jersey by 2030. Maryland is progressing on its two projects that total 348MW. Other states with offshore wind activity are: Maine, Rhode Island, Delaware, North Carolina, Ohio, California and Hawaii. Developers expect to have approximately 2,000MW of new offshore capacity operational by 2023. Current status of project pipelines (in MW) in most active U.S. states. The Block Island wind farm, a 30MW, five-turbine project three miles off of Rhode Island, is the only U.S. operating project, but the Fishermen’s Energy/Nautilus 24MW project in New Jersey and the Virginia Coastal Virginia Offshore Wind (CVOW) 12MW demonstration project (possibly the first in federal waters) could start construction in 2019 and be completed by 2020. In Massachusetts, Vineyard Wind submitted the winning bid for its 800MW project at the surprisingly low price of6.5 cents per kilowatt hour and has already leased dock space from the New Bedford Marine Commerce Terminal. New Jersey issued an 1,100MW solicitation with bids due in December 2018, and New York released an RFP with bids due in February 2019. Nearby, Ørsted’s 15-turbine South Fork Wind Farm, which will deliver power to Long Island could start construction as early as 2019 and be operational in 2022. Two other US Department of Energy (DOE) demonstration projects could be installed by 2020. The University of Maine’s 12MW floating turbine demonstration project called New England Aqua Ventus I may get back on track with a new, clean energy governor The Lake Erie Energy Development Corporation (LEEDCO) Icebreaker project, a six-turbine 20.70MW demonstration project is currently in the permitting phase. The offshore wind industry is ramping up quickly in the U.S., pushed by a requirement to begin construction aided by a national standards and guidelines setting initiative led by NREL. Ports, assembly areas and offshore wind industry infrastructure are currently being evaluated and developed. California grabbed global headlines in September when the State committed to 100 per cent clean energy by 2045, and 60 per cent by 2030. Also in September, BOEM announced four draft Call Areas for offshore wind development, one in the north and three off of central California. When these sites are leased, it will open up the world’s fifth largest economy to floating offshore wind. Initially, the U.S. will largely be an importer of technical expertise and equipment from Europe, but it is rapidly developing its domestic supply chain. As the market in the U.S. grows, it will look to export its innovations to the wider global market.